From the early paint-splattered version to the recent Chuck Taylor hybrid, as well as the iridescent silhouette, the Maison Margiela Replica sneaker has been the most revamped model over the years within the label’s footwear collection. The French fashion house has now dropped an elevated iteration, incorporating an upscale satin body. The new Replica sneakers come in “Copper Orange,” “Aluminum Blue,” and triple-black colorways. Each pair features a numeral branding patch on the tongue tab and a signature stitching on the collar. Matching with the soothing tinge of the satin, the designer opts for a neutral beige to dress the laces while a darker shade coats the rubber sole. 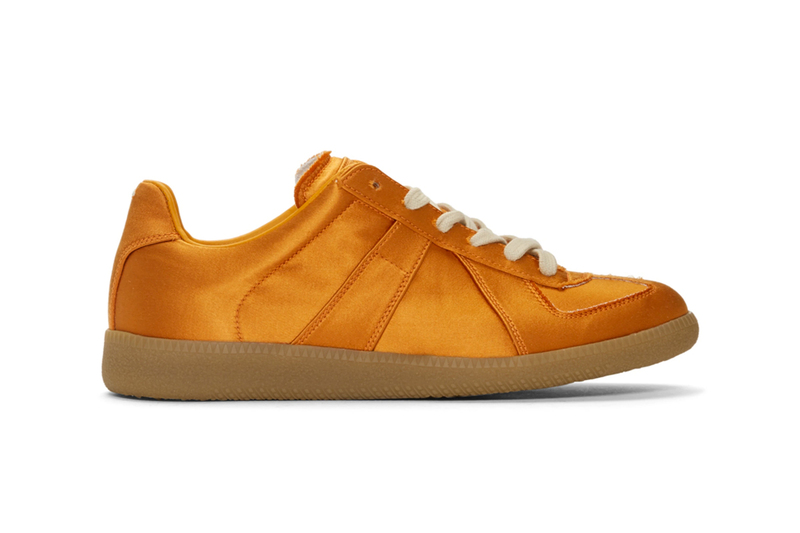 Priced at $665 USD per pair, the three Maison Margiela Replica sneakers are now available at select retailers like SSENSE. In more sneaker news, sacai debuted new Nike sneakers during Fall/Winter 19 Paris runway show.